When it comes to choosing your energy provider, it’s worth taking multiple factors into account. While price is hugely important, you’ll also want your retailer to offer great customer service and support when you need it. You might also prefer a provider that focuses on renewable energy, or one that provides additional benefits such as rewards points or the like. To help you make the right choice for your personal needs and preferences, Canstar Blue offers the following guide on what to consider. Then, the choice is yours! Depending on where you live and your typical energy usage, the difference between the cheapest and most expensive electricity plans can be more than $2,000 a year. Let that figure sink in for a moment! So, why would you pay more than you need to? Well, paying $2,000 too much is clearly ridiculous, but it’s also true to say that the cheapest possible plan does not necessary mean it is the best for your needs. Sometimes paying a little bit more is worth it if you know you’ll be getting great customer service in exchange for the extra cost. Think about your previous experiences with power retailers and the service you received. This could mean choosing a retailer with an Australian based call centre, for example. Also consider what else you get for your money. Maybe one retailer is offering extra incentives, such as free movie tickets, or frequent flyer points. 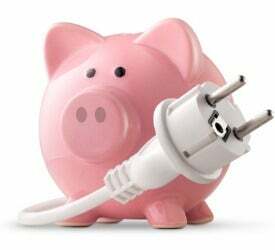 You may pay a little more than you would with another power company, but it’s also about the value your plan provides. Picking the absolute cheapest deal is obviously tempting, but when it comes to making your choice of retailer, try to allow other consideration into the mix. If a power company you don’t particular like works out about $10 a year cheaper than one you do actually like, would you really go for the cheapest option? A lot of energy retailers try to position themselves as the champions of great customer service – some genuinely have a right to do so, but others are just clutching at straws. 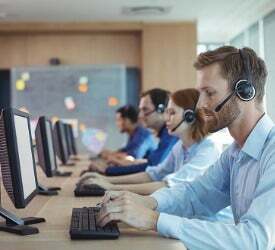 While you might think customer service is less important than price – understandably – think about the last time you had to call your provider and how that call went. If a company offers cheap prices, this could mean it is cutting back in other areas, including customer service. You don’t visit a cheap department store for some cut-price clothes and expect amazing service, do you? The same applies with energy. When you think about customer service, you probably imagine someone picking up the phone. That’s a big part of it, but good service stretches a lot further. Does your energy provider have a social media page where it can be reached? (Nothing gets a company moving like public criticism). And does it respond to emails? Think about the number of ways you can communicate with your energy provider. If its phone number is hard to find, that’s probably a bad sign! Canstar Blue conducts an annual review of electricity providers across New South Wales, Victoria, South Australia and south east Queensland. Retailers are rated by their customers on a range of factors, including customer service. Other online review sites are also helpful, but keep in mind that every provider will receive at least some negative feedback. That’s why our ratings aim to give a representative view of thousands of consumers. 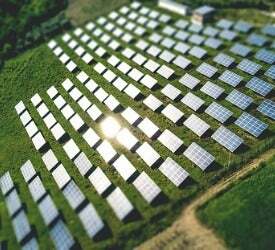 Renewable energy – is the grass greener elsewhere? Australia has tough renewable energy targets and some retailers are trying to move away from the coal-fired power station days of the past and into a green, healthier future. At least, that’s what their marketing teams are trying to do. It is true, however, that many consumers care about the green energy credentials of power companies – and that’s perfectly understandable. Some retailers are investing heavily in renewable energy assets, while others couldn’t give a hoot. Their motivation for doing so may not always be saving the planet, but if that’s what happens as a result, does it matter? The following retailers were rated as Australia’s ‘greenest’ in the latest report from Greenpeace. Simplicity – it shouldn’t be too much to ask? 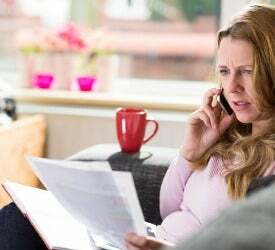 Trying to work out which energy provider offers competitive prices and which are out to rip you off is hugely challenging, not least because of the conditional discounts that may apply. Whatever you do, don’t fall into the trap of thinking that the biggest discounts mean the biggest savings, because it’s often not the case at all. Some retailers with big discounts also have extremely high usage or supply rates (or both) meaning you’ll simply be getting a big discount off a big bill. This tactic has become common in the energy market in recent years. But there are some energy companies trying to offer a more simplistic approach by moving away with discounts and instead focusing on competitive, transparent prices that are easy to understand and compare. Doing so also means you are not in danger of missing out on a discount, which results in much higher costs. 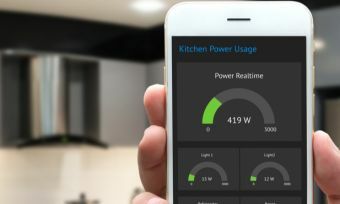 As the energy industry becomes a little more innovative (no, seriously), some retailers are focussing their efforts on helpful tools that not only help users to make better decisions about their energy usage, but ultimately help them save money. 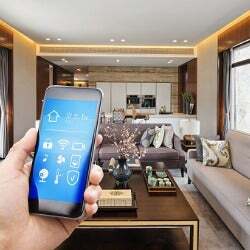 These tools include apps that can report energy usage in close to real time, guides on appliance running costs, and even platforms that give customers the chance to compare their provider’s prices to others. Ready to make your choice? If you’re ready to consider the energy providers in your area, Canstar Blue has built a comprehensive comparison tool that allows you to compare retailers on all of the factors we’ve highlighted in this report. Follow the link below to start comparing now.